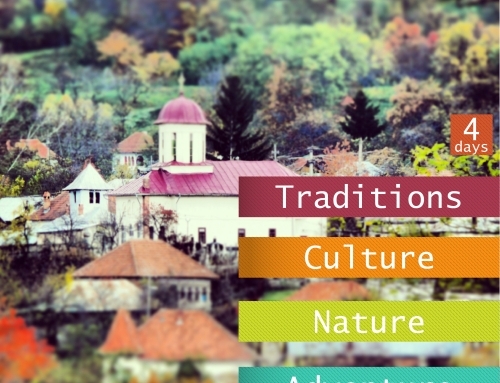 This is a complex tour which offers a perspective on Romania’s history and culture and a series of dynamic activities, visits in natural parks, experiences in the mountains, caves discovering. It also helps you to discover Dracula’s legend by visiting the important places linked with this story: Poienari Fortress in Argeș Valley, Bran Castle, Sighișoara City, the Old Royal Court from Bucharest. 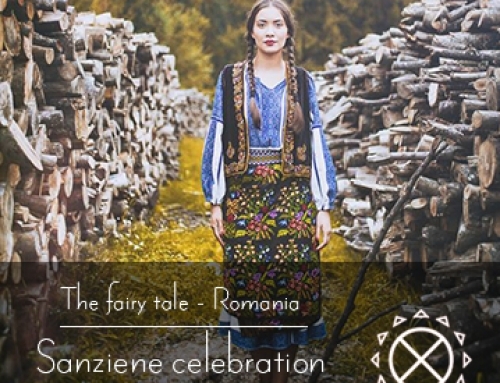 Moreover, the incursion into the fairytale world of Transylvania will allow the discovery of the secret of people’s happiness and harmony with nature and time, the harmony about which Prince Charles speaks with such a great passion. During this day you will visit the interesting palaces of Bucharest, the Little Paris: The Old City Centre, National Museum of Art of Romania, Romanian Athenaeum, The Palace of Parliament and some other places which impress by their architecture or by their rich history. And last but not least, you will explore the lively terraces which show better the Latin spirit of the Romanian people. IN THE MORNING – You will be taken from the airport. After a short tour in Bucharest by car, you will arrive in the central area to have the meal at the biggest green terrace. The place is without precedent thanks to its traditionally elements and oasis of green, calm and vivid offered to its visitors. In the autumn days here food is cooked in a traditional big pot, people make food in great quantities as they did long time ago in the Romanian villages. The place is full of life and optimism. We think that this is the perfect place from where to begin your journey in Romania. Art of Romania– this is the perfect place where to start meeting Romania’s culture and history. The building, an old royal palace and the national gallery of art will give you a series of information about Romania. You will walk to the Cișmigiu Hotel, the accommodation place. On the way you will visit three other important places. The Romanian Athenaeum is a symbol of Bucharest. The building, which architecture is a combination of eclectic and neoclassical styles, was build between 1886 and 1888 according to the plans of French architect Albert Galleron. Presently there is the headquarters of the “George Enescu” Philharmonic Orchestra. It also represents the place where “George Enescu” Classical Music Festival and Competition takes place every two years. The next visit will be at the Memorial of Rebirth (monumental ensemble situated in The Revolution Square from Bucharest, built in 2005 in the memory of the Romanian Revolution’s victims from 1989). It includes four elements: The Silence Square, The Wall of Memory, The Pyramid of Victory and The Path of Victory. Then you are going to visit Kretzulescu Church. The church was built in Brancoveanu architectural style between 1720 and 1722 with red bricks on the outside. The Cismigiu Hotel is one of the oldest hotels from Bucharest, a hotel with a rich history. It is connected to a series of Romanian culture people and events which had marked Bucharest’s history. It was built in 1912 and rebuilt in 2012. The Cismigiu Hotel is a symbol of elegance, gentility and good taste which recalls of the Little Paris. AT NOON – A walk to The Old City Centre. You will see the famous Lipscani Street (the name comes from the merchants of Lipsca <<Leipzig>>). Now it is a pedestrian area with terraces and always full of happy people. The road passes by the C.E.C Palace, the headquarter of the National Savings Bank C.E.C. The palace is an old building designed by French architect Paul Gottereau and completed in 1900. It impresses by its glass dome built on metallic structure and by its architectural style, which reminds of that of Paris. You can also see from the outside the Palace of the National Bank of Romania. The old edifice of the National Bank of Romania was built by Albert Galleron and Cassien Bernard, both former students of Charles Garnier, the famous Garnier Opera House’s architect. The National Bank of Romania was founded in 1880, before the one of Japan. You will have lunch at Crama Domnească, traditionally restaurant situated in Vlad Țepeș’s cellars from Bucharest. After lunch you will visit the Old Royal Court, architectural compound built by Mircea cel Bătrân in the late 14th century and modified by the rulers who had followed his reign, including Vlad Țepeș (Dracula) the one who had made ample changes. In the afternoon you will make a tour by minibus in Bucharest, you will see from the outside The Palace of Parliament, The Arch of Triumph, George Enescu Memorial House and Herăstrău Park, the biggest park in Bucharest. Depending on time and group wishes in the tour is included a coffee/tea break on the lakeside. IN THE EVENING – You will have dinner in the Old City Centre at Carul cu Bere Restaurant (Beer Wagon Restaurant). In the evening the old area fills up with people eager for fun. During the summer the terraces are full every night of happy and lively people. At Carul cu Bere the atmosphere is one of good mood. There is an orchestra which plays traditional music and the place’s architecture reminds of the bohemian Bucharest from the interwar period, reminds of the Little Paris. First day away from Bucharest is one of the most beautiful of this journey. Peleș Castle, the visit on Bucegi plateau or the first contact with the famous Dracula’s Castle (Bran Castle) will definitely impress you. 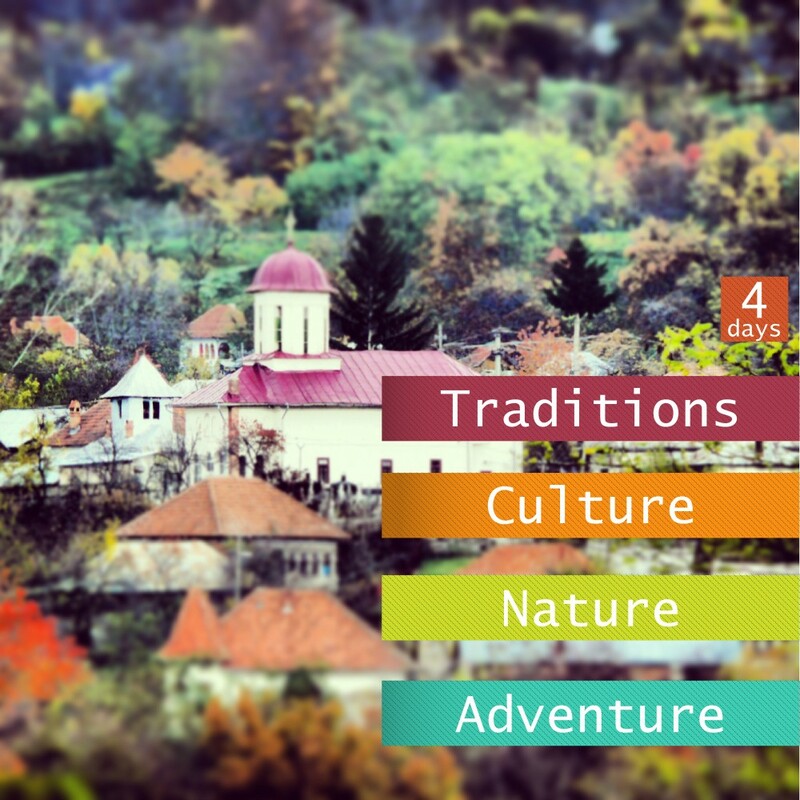 The mountains landscapes, the nature and the cultural objectives will show you their best on this day. MORNING – You will have breakfast at Cismigiu Hotel. After breakfast the journey takes you to Sinaia. The route passes by Ploiești. The landscape is overwhelming. When the sky is clear you can see to the north the Carpathian Mountains placed as a massive wall. The first visit will be at The Hunting Museum Posada. The thematic of this museum is the hunt from its prehistoric beginnings till present days. The most important collection of this museum built in Posada Castle is a collection of trophies which gathers 2400 pieces. The next stop will be at Peleș Castle followed by a visit at Pelișor Castle. The Peleș Castle from Sinaia, summer residence of Romanian kings, is a symbol of Romania which reminds of the period when this country was a monarchy. It was built at the request of King Carol I of Romania (1866-1914) according to the plans of architects Johannes Schultz, Carol Benesch and Karel Liman and decorated by famous decorators J. D. Heymann from Hamburg, August Bembé from Mainz and Bernhard Ludwig from Vienna. The Peleș Castle is one of the most important historical buildings from Romania. Having a unique character it is, by its historical and artistic value, one of the most important monuments of its kind in Europe of the 19th century’s second half. Pelișor Castle is a small palace built in Peleș Castle’s area (in Prahova Valley). Built between 1899 and 1902 by Czech architect Karel Liman and decorated by Viennese artist Bernhard Ludwig, Pelișor Castle became since 1903 the summer residence of Romania’s heir princes. AT NOON – You will have lunch in Sinaia. After lunch you will reach Bucegi plateau by cable car. The cable car goes from Bușteni City to Babele Chalet which is situated at 2000 metres altitude. Here you can see the limestone formations The Sphinx and Babele. Depending on the weather there is the backup version of going up by cable car from Sinaia to Cota 2000 without seeing The Sphinx and Babele. Both areas offer outstanding views of Prahova Valley and the valleys from Bucegi. 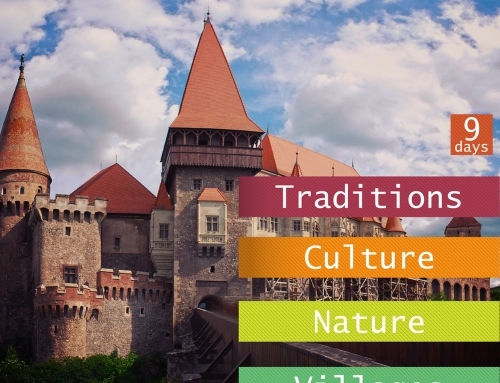 IN THE EVENING – the evening will begin with a visit in Bran Castle’s area. You will visit the surroundings and make contact with the local atmosphere. The castle will be visited the next day. The accommodation will be in Măgura Village. The village is situated in the foothills of Piatra Craiului, in Rucăr-Bran Corridor. It offers breathtaking views toward Bucegi Mountains and Rucăr-Bran Corridor. And the most important aspect of this area is that it shelters old traditional households where time has patience. 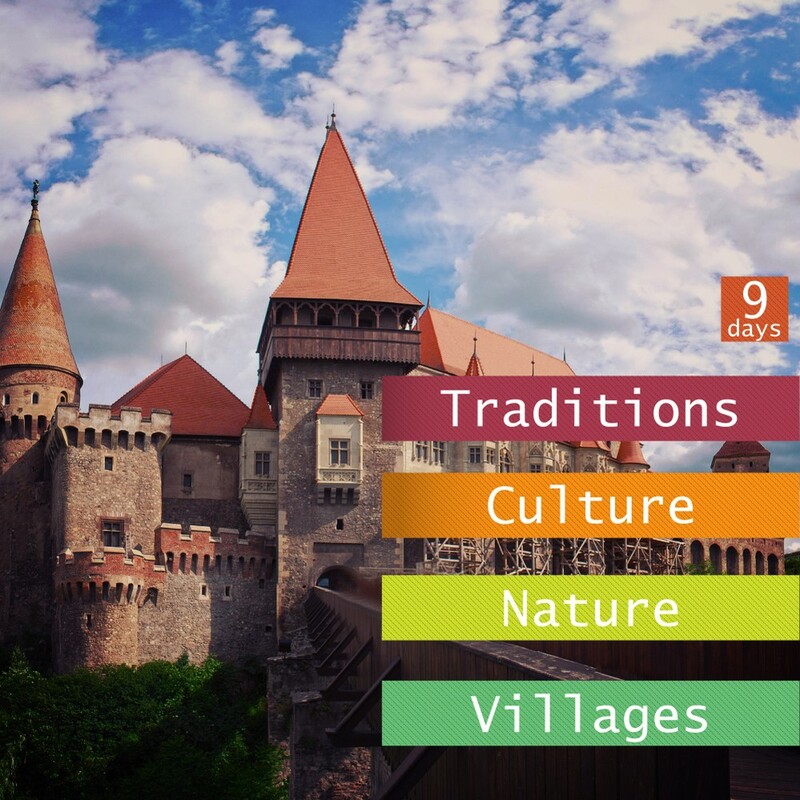 A visit at Bran Castle and Râșnov (Rasnov) Medieval Fortress will remind you in this third day of your journey in Romania of the medieval past days. The natural areas, the villages below Piatra Craiului, the bear reservation and the cave from Râșnov (Rasnov) will highlight the ancestral connection between nature and local people. This day will end in the richest way with an evening spent in Brașov (Brasov), a city remarkable for its atmosphere. IN THE MORNING – After a breakfast in the mountains, in a fairytale landscape, the journey takes you to Zărnești (Zarnesti). In Zărnești (Zarnesti) you will visit the bear reservation – Libearty Sanctuary. In this natural area specially arranged, which spreads on 69 ha, are sheltered 70 bears. The tourists can see here brown bears that come from different zoos or other captivity environments. The place is unique because it allows you to be very close by a bear and to watch it living in its habitat. After that you will visit Bran Castle, Vlad Țepeș’s (Vlad Tepes) castle and the place that inspired Bram Stoker to create the well-known character named Dracula. You can read more about this visit here:https://www.pure-romania.com/bran-castle/. AT NOON – You will have a traditional lunch in Dracula’s fairytale land. This will be a suitable opportunity to taste traditional dishes and drinks. The next stop will be at Râșnov Fortress (Rasnov Fortress), an impressive building situated in the town with the same name. The fortress was built in the medieval period. Râșnov Citadel (Rasnov Citadel) is one of the best preserved fortified ensemble from Transylvania. The oldest structures preserved till nowadays dates back from the 14th century and they are probably situated on the old wooden fortification raised by the Teutonic Knights in the early 13th century. The citadel is big. It dominates the valley which begins from the foothills of the rocky hill where it was built. Inside the big walls it shelters well preserved buildings. A series of place’s events and legends are connected to this medieval citadel. Now it is time to go in the underground and visit Valea Cetății Cave (Valea Cetatii Cave). It is situated on the road that links Râșnov (Rasnov) and Poiana Brașov (Poiana Brasov). “The Great Hall” is spectacular. It has a height of more that 20 meters and a surface of about 2500 square meters. From this hall leave in different directions a number of secondary galleries of various sizes. The cave’s walls are generally covered in calcite leaks. Your journey continues to Brașov (Brasov). Then you are going to go up to Poiana Brașov (Poiana Brasov) one of the most popular ski resorts in Romania. And all this in order to get somewhere above Brașov (Brasov). The road that connects the resort to the city offers a great view of the city. IN THE EVENING – you will reach Brașov (Brasov). The city is glamorous in the summer days. The old centre of the city is full of smiling people sitting at the many terraces. The surrounding mountains watch over the city. The mountain town atmosphere is present in every season. Before dinner you will visit the Black Church and its surrounding areas, the Council Square and Rope Street, the narrowest street in Central Europe. This is the day when you will see more fortresses and fortified churches from Transylvania. They are proof of tough times of the medieval period. You will visit, in this order: Rupea, Hoghiz, Viscri and Sighișoara and you will be able to see different types of approaching in terms of construction, but the same grate need to protect de community wealth. 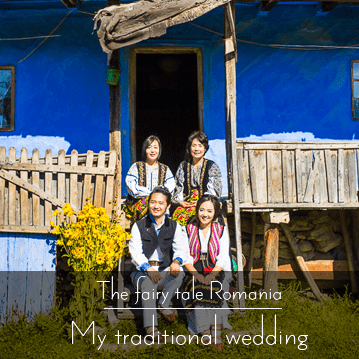 IN THE MORNING – the journey in Romania takes you towards Sighișoara. The trip will be quite short but it will have many stops so you can enjoy Transylvania’s reaches. The first stop will be at Rupea. Archaeologists’ analyses say that Rupea Fortress is one of the oldest archaeological vestiges in the Romanian territory. The first human settlements date back from Palaeolithic and early Neolithic (5.500 – 3.500 BC). The first documentary certification dates back from 1324. Over time the fortress served both as fortification and as refuge for the people who lived on the nearby hills and valley, its place being a strategic one: at the junction of the roads that connect Transylvania, Moldavia and Wallachia through the south-eastern passages. The medieval spirit is felt; you can feel the thrill of the times when towns and villages were attacked by enemy armies. The journey will continue on small roads hidden among Transylvania’s fields and hills, but only to take you to Viscri. Hidden between hills Viscri is a vivid Saxon village with coloured houses where time has lost track. Here you will visit Viscri Fortified Church. Viscri Fortified Evangelical Church was built in the 13th century on the foundation of an ancient Roman basilica. Since 1999 the church is part of UNESCO World Heritage. The hall church was built by Székelys and later taken over by Saxons. The church was fortified in the 15th century and transformed in a fortified church with towers, bastions and two defensive walls. The place is amazing, the church being very well preserved. You can climb in the church tower from where you can see the village and the peasants’ lands. The smell of the walls, the dust from the citadel’s buildings, the old bridge, the wood that creeks under your foot, the church literally bent by time make you relive long gone times. Viscri is not just a Saxonpeasant fortress which holds within its walls one of the few Romanic hall churches from 13th century, but the living proof of a traditional world, full of charm and mystery. 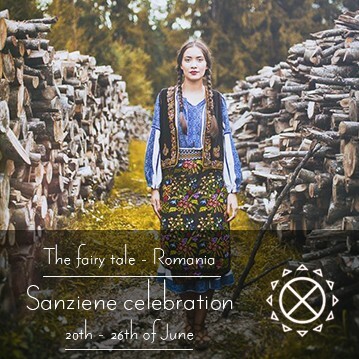 AT NOON – in this fourth day of your journey in Romania the lunch will be again a traditionally one with specific dishes and stories about the magical places that Transylvania snugs. You will have lunch in an old Saxonvillage. You will continue your journey through tall willows and gentle hills in order to get to Saschiz. This is an old village which long time ago was competing with Sighișoara. Here you can find beautiful and well preserved Saxon houses. The fortified church from Saschiz impresses the visitor by its massiveness and by its tall clock tower. Somewhere on the hill which dominates the village you can see the Saschiz Peasant Fortress now just a ruin. IN THE EVENING – The end of the day will find you in Sighișoara, Transylvania’s fairytale and carnival city. The accommodation will be in Sighișoara. For the rest of the evening you will be able to enjoy the city atmosphere. Trips in Transylvania. This day will also be full of trips in Transylvania’s wonders. In the first part of the day you will visit Sighișoara and after lunch you will go in Biertan (a Saxon village where time has patience and where you are going to visit another fortified church). The day will end in Sibiu, the European Capital of Culture in 2007. IN THE MORNING – you will start the fifth day with a visit in Sighișoara. This is a special settlement. It is one of the best preserved medieval cities from Europe. The city is very old. The archaeological discoveries indicate the fact that the settlement had existed long before the Romans conquered it 2000 years ago. – Vlad Dracul’s House, Vlad Țepeș’s (Dracula) father which is considered to be a very old building dated around 14th-15th centuries. – Covered Staircase – is a covered staircase built in 1662 in order to ease the access of scholars at the School on the Hill. – The Clock Tower – represents the main attraction of the city. It was built to protect de citadel, it has five levels, a 64 metres height and it is opened to visit. The view from the tower is unique. You can see every corner of the citadel, the new town’s houses and the surrounding hills. You will also visit the Tin Coaters Tower, the School on the Hill and the Church on the Hill. AT NOON – you will have lunch at one of the citadel’s restaurants so you can enjoy the place’s charm. After lunch you will go to Biertan, an old Saxon settlement which shelters a fortified church and traditional Saxon houses. The village is an authentic one with big Saxon houses connected to each other, painted in vivid colours and placed around the fortified church. Biertan is one of the first Saxon settlements from Transylvania. The village was first mentioned in 1283 in a document where were also mentioned Mediaș and Moșna, all three towns being in a fierce competition to obtain the title of administrative centre of the region. In 1397 Biertan is certified as a town. Like any Saxon settlement, the town had an urban organization. It stands out the German style of rows of houses arranged around a central square, above which rises the impressing fortress church. The impressive religious monument blends harmoniously the Gothic style and the Renaissance style being defended by three enclosure walls with medieval towers and bastions. The first town compound is assigned in 12th century when was probably raised also the first church (St. Mary). The current church was built between 1486 and 1524 in a late Gothic style. The road continues towards Sibiu on the narrow streets which cross the unknown Transylvania. IN THE EVENING – you will spend the evening in Sibiu. It is a city full of charm. The German atmosphere, the architecture of German influence, the people, local custom and language which differs by the accent make you feel like you are in a totally new and special place. In this day you will explore Sibiu and Făgăraș Region, both guarded from distance by Făgăraș Massif which stretches towering to the south. The tours organised late in the spring, in the summer and early in the autumn will take the tourists on Transfăgărășan beyond Făgăraș Mountains. This road reaches a height of 2000 meters at Bâlea Lake. In the other parts of the year the way will go through Olt Valley. The day ends in the town of Curtea de Argeș, the first capital of Wallachia. IN THE MORNING – After breakfast you will start descovering Sibiu. You will make a tour during which you will see the main attractions of the city: The Evangelical Church, The Stairs Passage, Liars Bridge, The Council Tower and The Big Square. 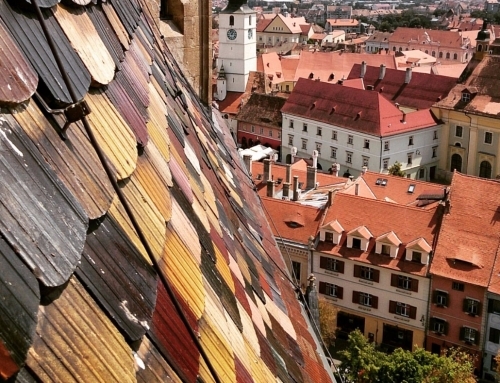 Sibiu (Hermannstadt in German) is the county capital and the largest city of Sibiu County. Sibiu is an important cultural and economic centre from southern Transylvania with a population of about 150.000 inhabitants. The city is charming by its German influences that can be seen in architecture, people of the place and by the view of Făgăraș Mountains in the south. In Sibiu you will also visit Astra Museum. 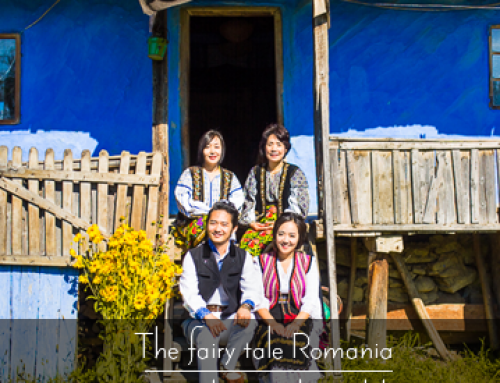 This visit is a foray in the last century Romanian village life. You will see old houses carefully preserved, households, and you will hear information about the village life. Here you can see an ethnographic collection. This highlights the most representative Romanian specific testimonies about what used to differentiate us from other people, things and phenomena which can explain to all the specific of this nation. It is time to set off to Făgăraș Mountains. AT NOON – you will have a traditional lunch with dishes specific to this place. The journey takes you to Bâlea Lake. To get there you have to pass by Bâlea Waterfall, a small resort at the bottom of the slope. Here is the place from where the cable car goes to Bâlea Lake. In order to get to Bâlea Lake, the road continues on a steep area with many switchbacks in a mountain landscape shaped by glacier cycles. Here you will admire the glacial lake Bâlea, the chalets around it and the high slopes bordering the lake to the south. The mountain atmosphere, the people dressed for hiking, the cold air, the wooden chalets and the rocky landscape make you also vibrate with the place. Afterwards you will pass through the 1 km long tunnel to reach the southern area of Făgăraș Mountains. Here a magnificent landscape with steep slopes, with sharp ridges and a road that makes its way through a glacial circus will impress you. The road continues to the 1000 meters altitude chalet, the place where you will spend the evening. Here you will have a campfire and a mountains specific atmosphere with songs and good mood. *** If Transfăgărășan road will be closed (in winter, in early spring and in late autumn it is closed due to avalanche risk) it will be chosen the route Sibiu – Râmnicu Vâlcea – Curtea de Argeș. It would be impossible to visit Bâlea Lake and Bâlea Waterfall resorts, but you can visit Cozia Monastery and Călimănești town. IN THE EVENING – We will spend the night in a mountain chalet at high altitude, we will have a full mountain atmosphere. We will have a campfire and traditional music. Down Argeș River – During this day you will see Vidraru Lake and Dam, you will climb to Dracula’s Fortress and finally you will reach Curtea de Argeș, the first capital town of Wallachia. IN THE MORNING – After breakfast you will head for Vidraru Lake. The road will lead you through thick forests of fir trees to the end of the lake and to Vidraru Dam. The landscape is unique. To the north it you can see towering mountains covered by snow most of the year. Vidraru Lake dominates the landscape. It impresses by its length of 10 km and its depth of 150 meters visible in the dam area. Built in 1965, the dam is magnificent. Vidraru Dam construction lasted five and a half years starting in 1960. For this achievement were necessary 42 km of tunnel, were excavated 1.768.000 cubic meters of rock of which about 1 million in the underground, were cast 930.000 cubic meters of concrete of which 400.000 in the underground and were installed 6.300 tons of electromechanical equipment. The road continues to Dracula’s Castle. Once you have climbed about 1.500 steps from the main road, you will reach the famous fortress situated on the highest cliff that overlooks Argeș Valley. It was built by Vlad Țepeș on a mountain peek as a refuge or observation point at a height of approximately 400 meters above the valley. From here you can admire the beautiful views of Argeș Valley. The legend says that Vlad Țepeș, being pursued by the Turks, escaped seeking refuge in this fortress after he had his horses shoed with backwards horseshoes and thus confusing the pursuers. You will continue your journey to Curtea de Argeș where you will have lunch. AT NOON – After lunch you will visit the town of Curtea de Argeș. Here you will see Curtea de Argeș Monastery, The Royal Court with the Royal Church and Norocea House. Curtea de Argeș Monastery, built by Neagoe Basarab (1512-1521) is the most valuable art and architecture ecclesiastical building in the region and one of the most important from Romania. It is associated with the myth of creation. The legend says that Master Manole, who built this legendary church, sacrified his wife bricking her alive in the church’s walls in order to finish his masterpiece. The Royal Church from Curtea de Argeș which was founded by Basarab I (1310-1352) was completed in 1352 within the royal residence of the 13th century. The church, a Greek cross like monument, of a very complex type, is one of the most representative monuments of the medieval Romanian architecture also being the oldest princely foundation in Wallachia. Norocea House is a special house in Curtea de Argeș. The Romanian style building was built between 1922 and 1923 by Dumitru Norocea a painter, the Royal Church’s frescoes restorer. Nowadays the building houses the Ethnography section of the City Museum and upstairs it hosts an exhibition with paintings and objects that have belonged to him. IN THE EVENING – In the evening you will head to Bucharest. You will accommodate again at Cișmigiu Hotel and you will have dinner at one of the terraces of the big city. This day will be organized according to the group preferences and by the time the plane takes off. You can choose either a shopping session or to visit sights such as the People’s House (The Palace of Parliament). For this tour the meals and the tickets for the museum will be included. *** Day 2 – Depending on the weather there is the backup version of going up by cable car from Sinaia to Cota 2000 without seeing The Sphinx and Babele. Both areas offer outstanding views of Prahova Valley and the valleys from Bucegi. ***Day 6 – If Transfăgărășan road will be closed (in winter, in early spring and in late autumn it is closed due to avalanche risk) it will be chosen the route Sibiu – Râmnicu Vâlcea – Curtea de Argeș. It would be impossible to visit Bâlea Lake and Bâlea Waterfall resorts, but you can visit Cozia Monastery and Călimănești town.